Patience Nyarko replies George Quaye. After the 19th edition of the VGMA, gospel singer Patience Nyarko angrily talked against the scheme. Moreover, she opined that even TV3’s mentor is credible than it. Furthermore, her words elicited a reply from George Quaye, the PRO for the awards scheme. He asked the songstress to compete in the talent show since she finds it more trustworthy than the Charterhouse event. However, now the singer replies. 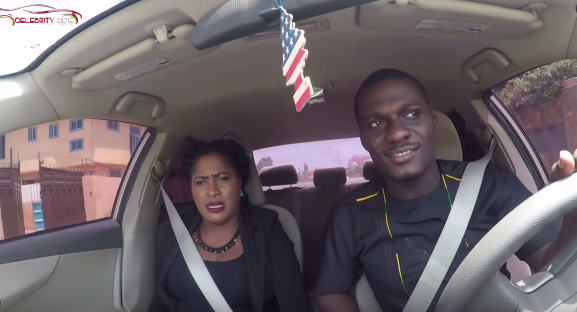 The ‘Obi Nyane Me’ hitmaker mase these comments on Celebrity Ride With Zionfelix program. Patience Nyarko threw subtle shots at George Quaye. Furthermore, the gospel singer described the comments as normal. Also, she divulged that she will halt her music career and join the next mentor audition. This is so that she can polish her songs and submit it in the subsequent years. Moreover, she stated that Mentor reality show lectures musicians on how to deliver when they are in the booth recording songs. Also, it improves their stagecraft. Therefore, George Quaye’s suggestion to her is not a bad one. Furthermore, she entreated her fellow artistes to voice out when organisers of Ghana Music Awards goof instead of keeping mute for them to maltreat Ghanaian musicians. The minstrel later opined that most musicians keep quiet over the mistakes organizers of the awards commit because they are afraid to be sidelined.